WestJet Airlines Ltd. says chief executive Gregg Saretsky is retiring effective Thursday. Saretsky joined WestJet in June 2009 as vice-president, WestJet Vacations, and became chief executive in March 2010. Under Saretsky's leadership, WestJet nearly doubled its fleet, launched WestJet Encore and started service to Europe. 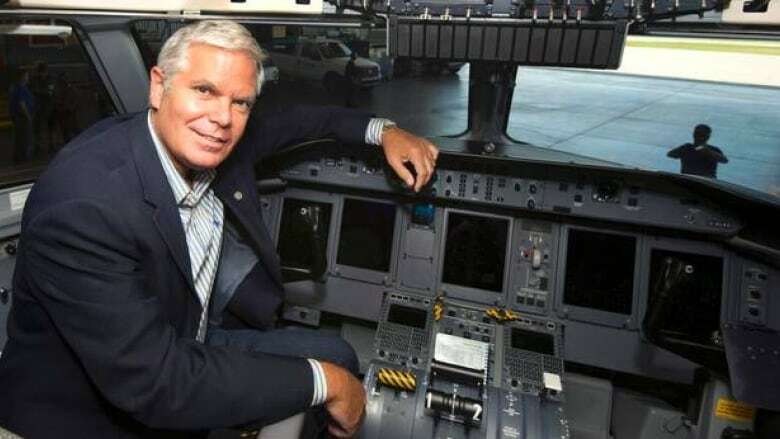 The airline says he is being replaced by Ed Sims, WestJet's current executive vice-president commercial, who has also been appointed to the airline's board of directors. Robert Kokonis, the president and managing director of aviation consultant firm AirTrav, says Saretsky did a good job steering WestJet through big changes, but speculates the growing complexity of WestJet could have been a factor in the management changes. "There's been a lot of growth under Gregg. Share price has gone up 60 per cent, but perhaps there's more complex challenges coming down the road and the board felt it was time to make a change," he said. Kokonis says some stock analysts who watch the company have shown concern over the "deviation from the pathway of low-cost carrier to being a multiple division, go everywhere, be everything carrier." He says he's not surprised to see Sims take the top spot, but was surprised at the timing of the announcement. It could just be that Saretsky was ready to leave, he said. Sims joined WestJet in May 2017 after serving as CEO of Airways, New Zealand's air navigation service provider. He also had held senior positions with Tui, Thomas Cook, Virgin Groups and Air New Zealand. The head of WestJet's Air Line Pilots Association (ALPA), Cpt. Robert McFadyen, said Saretsky's sudden departure came as a surprise to the union, which he admitted has had a challenging relationship with airline's leadership team. "I think we're just looking forward to working with the new CEO, Ed Sims. As far as Gregg Saretsky, we'd like to wish him the best in his retirement," he said. Last week, the Canada Industrial Relations Board (CIRB) ordered WestJet to end its new policy of offering its pilots a two-year leave of absence if they go to fly for Swoop, the company's new ultra-low cost carrier. The ALPA complained that the policy, posted by WestJet on Jan. 31, was a significant change in the company's terms of employment and an interference with the union's right to represent the pilots. The CIRB ruling agreed that the policy could pose "substantial irreparable harm to the union" and noted that the alleged violation came during "the sensitive period of collective bargaining." It also said its order revoking the leave policy would remain in place until either a related complaint of unfair labour practices was dealt with by the board, or a collective agreement is reached. "But for us, looking forward, we really just want to work with management, get a good contract and have WestJet be a healthy and prosperous company for everybody," McFadyen said. "I think our pilot group's very much looking forward to working with the new leadership team that's going to be brought in."